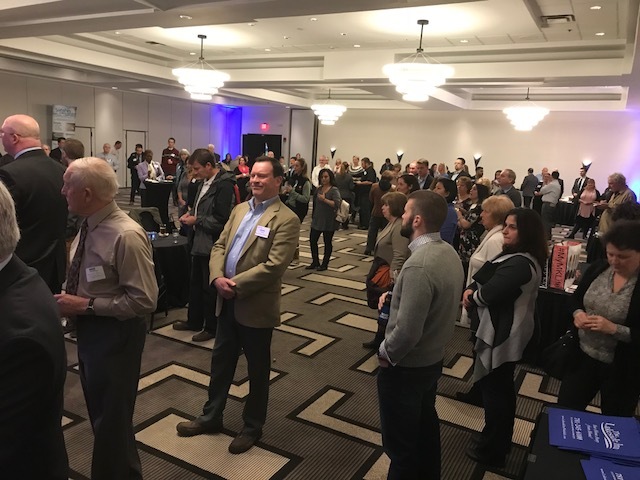 Generally held four to six times per year, Multi-Chamber events are the perfect opportunity for members to extend their networking reach with members from surrounding Chambers of Commerce. These events are hosted by a single Chamber of Commerce on a rotating basis and are generally held at a large, conveniently located facility. The events usually begin by a speaker or workshop (optional) followed by a networking evening. Refreshments are provided. Multi-Chamber event require pre-registration and are offered at usually around $10 for members. Refreshments are provided. Members are encouraged to bring business cards and promotional materials that they would like to share with others.